Addressing the call to increase interest and awareness in STEM (Science, Technology, Engineering and Mathematics) subjects among high school students, INTI International University & Colleges (INTI) recently championed a CSR project called ‘Meet My Future Employer’. The project saw the participation of over 350 high school students from various schools in the Southern region of Malaysia and was organized in collaboration with six top multinational corporations in the country. 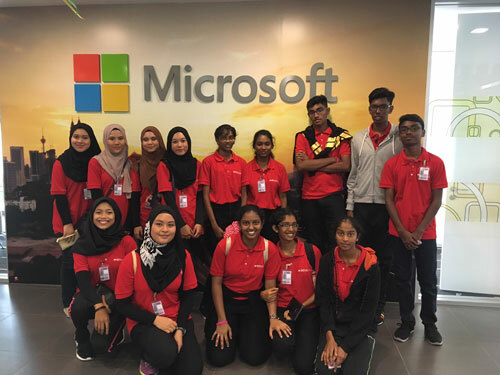 Drawing upon its strong industry linkage with over 450 employers, INTI secured the opportunity for secondary school students to visit Microsoft Malaysia, Fuji Xerox Asia Pacific Pte. Ltd., On-Semi Conductor, Top Glove, George Kent (Malaysia) Berhad and ASEAN Data Analytics eXchange (ADAX). Taking the students on a tour of each company’s work site, INTI and its industry partners were able to showcase the core functions of the company, the different work cultures, and the endless job opportunities available for the students in the future. “We believe this is a huge step towards driving passion and understanding of STEM which is an important area to the current and future workforce. Bringing high school students to these companies is a great way for them to interact with top employers so they understand the diversity of jobs available in the STEM field. The bigger picture is to start them young in understanding what is needed for the future and hopefully steer them into this field to meet industry needs,” shared Timothy Bulow, Chief Executive Officer, INTI International University & Colleges. Through the initiative, students gained greater understanding of the companies and the possible future that awaits them while developing a keen interest in the field. Some of the participants even leveraged on this experience which further reinforced their passion and interest in pursuing a future in the field of STEM. “This has been an eye-opening experience for me and I do believe the knowledge I have gained can help me in the future. Visiting ADAX has given me greater insights on what a data scientist does and it has been an interesting discovery since I had no prior understanding of a data scientist’s area of expertise. I am thankful for the learning opportunity provided through this event and I hope to pursue a career in this line,” said Low Cai Ling from SMJK Pei Hwa. 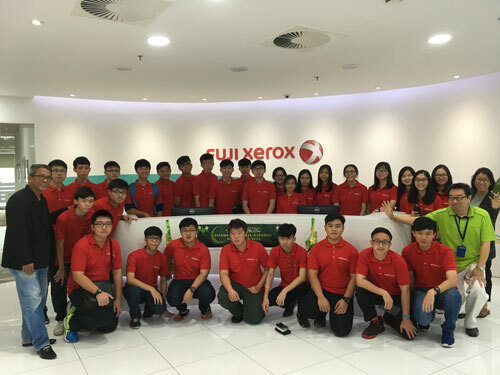 Meanwhile, SMJK Seg Hwa student, Chew Yong Huang, who aspires to become an aerospace engineer was appreciative of the experience he gained while touring Fuji Xerox where he discovered some of the technologies of the future. Students on tour at Microsoft Malaysia gained an insightful sharing session on the skillsets needed in the future by employers and jobs of the future. They also participated in a coding exercise using Minecraft’s Code of Hour which proved to be fun, interactive and intellectually stimulating. Known for its high employability outcomes, INTI looks to continue leveraging its outstanding industry collaborations to promote STEM among high school students which is in line with the government’s efforts. “The sustainability of STEM careers for the future are a responsibility now for employers and education institutions. Through this collaboration with INTI, we believe we are able to create a greater talent pool for the future. 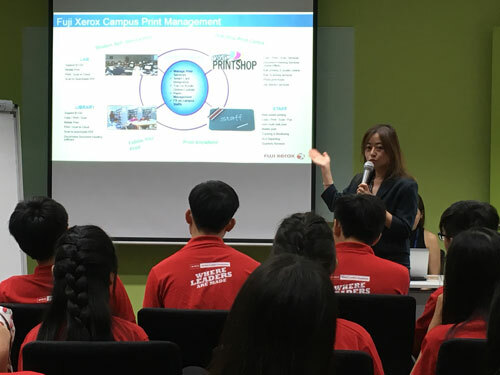 Furthermore, starting at the grass roots of high school gives us the opportunity to inculcate a positive perception towards STEM and hopefully drive passion among these students to follow this pathway in the near future,” Angelin Ooi, Senior Manager, Education – Industry Solution Group, Fuji Xerox. INTI has an over 30-year track record in providing quality education for young Malaysians who are now sought after by some of today’s leading companies. This is demonstrated through INTI’s high employability rate in 2015 validated by BDO Governance Advisory with 98% of INTI graduates being employed within six months of graduation with 82% earning incomes higher than the market average and 25% of graduates receiving job offers even before they graduate.